A worksheet designed for intermediate students with comprehension, writing and grammar (question tags). 5 different kinds of exercises included. It’s completely editable (also correctable) and the keys are included. Hope it’s useful. Thanks for downloading and have a nice day! 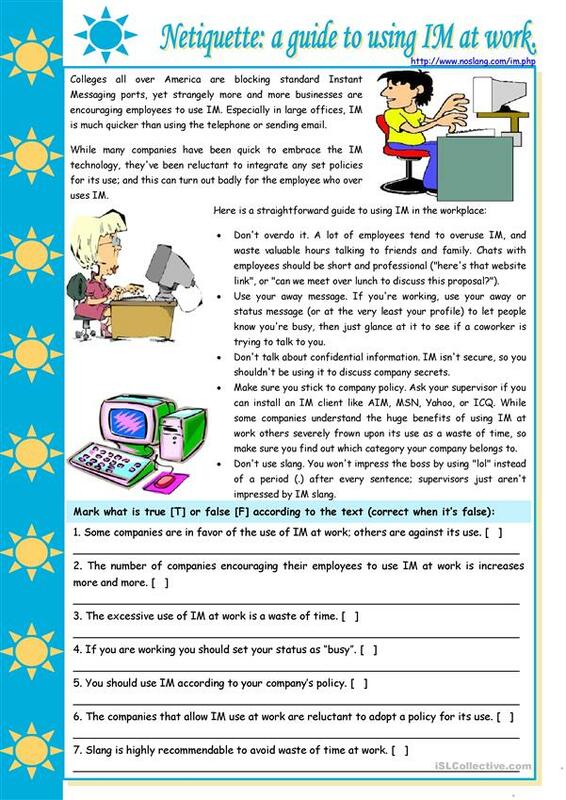 The present downloadable printable is meant for business/professional students, high school students and elementary school students at Intermediate (B1) and Upper-intermediate (B2) level. It is a useful material for teaching Questions in English, and can be used for working on your students' Speaking, Reading and Writing skills. The answers are provided, too. I'm an ESL, ESP, ELE and PSL teacher (English, Spanish and Portuguese as Second Language). I run two web shops where I commercialize some of my work.